Happy Mother's Day! Be good to your mom! 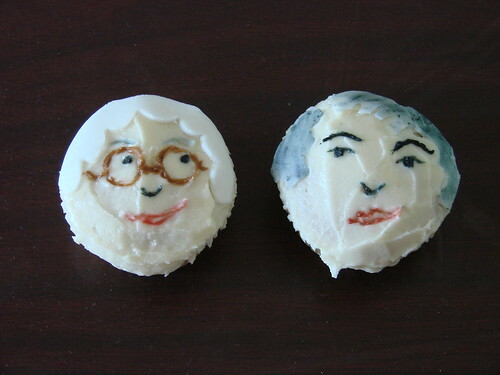 For further Golden Girls cupcake pleasure check out this link to a classic Betty White/Bea Arthur scene where Rose and Dorothy have a conversation about "cupcakes." Rose: No offense Dorothy but your cupcakes are dry and tasteless, nobody ever wants to try your cupcakes! Dorothy: My cupcakes are moist and delicious. Men LOVE my cupcakes. Rose: Get a clue Dorothy, men would rather PAY for cupcakes! These are brilliant! 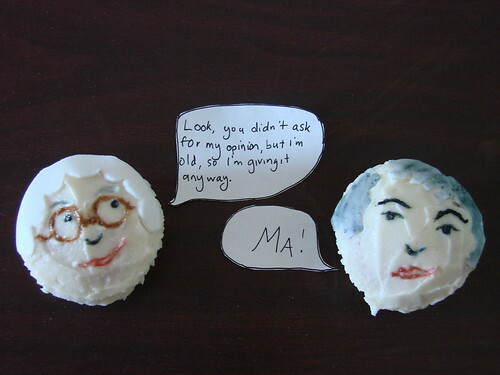 You totally captured Bea Arthur in a cupcake.